For years, I’ve been playing with fire. Both in the sheets and in the streets. But after a life changing accident, something had to give. Moving from Chicago to New York to live with my estranged brother is less than ideal, but it’s only temporary. To make it through the next year without killing each other, I need to stick to a few simple rules: no dating, no drama, no getting in each other’s business. Easy enough, right? 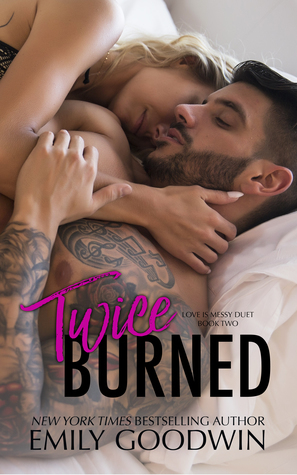 I loved the first book in the Love is Messy Duet, Hot Mess, and I had high hopes that Twice Burned would be just as good, if not better. Sadly, however, it wasn’t what I expected or hoped it would be. I loved Luke, Lexi, her kids, and a few others, but there were two characters in particular that I truly loathed. 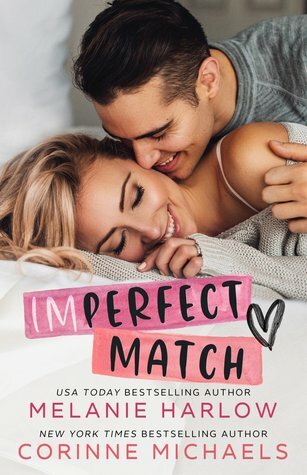 There were a lot of frustrating and annoying moments, and paired with all of the drama and angst, I was in an emotional upheaval throughout the entire book. The second half was better than the first, and I was pleased with the ending, but overall Twice Burned was disappointing. I hated to even say any of that because I’ve loved Emily Goodwin’s previous books, but Twice Burned just wasn’t for me.